After every four years, the world's biggest carnival i.e. the FIFA World Cup is hosted by a different country. FIFA World Cup is undoubtedly the biggest and most entertaining sporting event in the world. Winning the FIFA World Cup is a dream of every player. But only the best get a chance to win this prestigious trophy. Football is a game of joy and tear. Sometimes you win, and sometimes you lose. This is the beauty of the game. But, losing a World Cup final is something which nobody wants to face. It is heartbreaking when one reaches so close but fails at the ultimate stage. However, this is an inevitable part of the game. Here we discuss three teams which lost the FIFA World Cup final on more than two occasions. 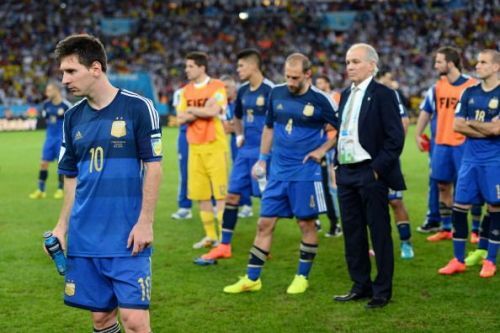 When it comes to the FIFA World Cup, Argentina has pretty hard luck. The Latin American country has lost three FIFA World Cup finals. They have reached the finals on five occasions i.e. 1930, 1978,1986, 1990 and 2014. In 1978 and 1986 Argentina won the FIFA World Cup and were crowned as world champions, but, in 1930, 1990 and 2014 they just fell a step short of glory. Argentina have participated in 17 FIFA World Cups. Only twice they were knocked out in the group stages, and that was back in 1958 and 1962. Apart from that they always made it to the knock-out rounds. Javier Mascherano is the most capped player for the country with 147 appearances, and Lionel Messi is the top scorer for the country with 64 goals. Just like Argentina, they also have hard luck in the FIFA World Cup finals. The European nation has reached the FIFA World cup finals 3 times, and on every occasion, the country has failed to get its hand on the prestigious trophy. Netherland has participated in nine World Cups, and their best performance was runner-ups in 1974,1978 and 2010. 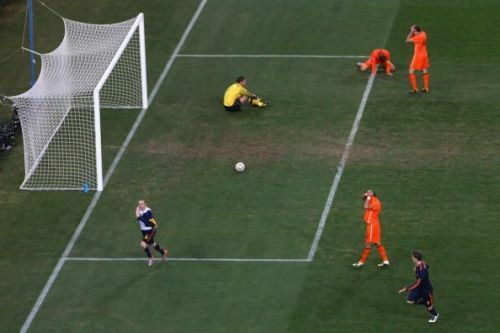 Moreover, Holland never got knocked out in the group stages of the FIFA World Cup. Wesley Sneijder is the most capped player in the history of the Netherlands. He made 134 appearances for the country before retiring in 2018. Robin Van Persie is the Netherlands' top scorer with 50 goals in 102 matches.